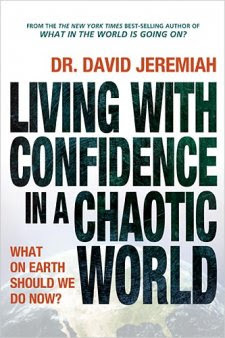 In a time when people are losing the things they have worked so hard for, Dr Jeremiah sets out to call us to the confident life we can have in Christ. The world is more caustic than it has ever been, but we can have faith that God is in control and has a game plan for His chosen people. I had a love hate relationship with this book. The pages are rich with stories of survival and dependence on God coupled with scripture that reminds us who and what we are in these dark times. He casts vision of the call of God for us to remain awake and aware. I thoroughly enjoyed the things in the book, but I drudged through it. It felt like an old Sunday school lesson that wasn't very well planned out. I didn't feel much at the end. I wanted to. I kept trying to convince myself to like it. There are good things contained in it, but my spirit rarely connected to them. This is rare. I like most every book I read.